So after his metacam was done, it wasn't better, it was worse... so we made an appointement for X-rays on the 06 of september, we dropped him off in the morning and went back at 3:30 to get the results... Vet takes us in a room to show us the X-rays and tells us that his knees are okay (no problem there) but his hips are suffering of severe Hip Displasia on both sides. 2. She gave 2 numbers for a Femeral head + neck excision sugery, Alta Vista in ottawa and DMV in montreal. 3. Give him medication to get through the pain. Our Chow can still walk, but he puts all his weight on his front legs to not put too much pressure on his rear legs, he has trouble getting up when hes sitting or laying down but he doesn't complain, or cry about it... but when i come in from work his tail is going and hes all happy to see me, i think hes still a happy chow. Anyways i was wondering if you guys could HELP me out, encourage me, give me pointers, other surgery places that might be less expensive, We dont know what to do since we really love him and we can not afford 6000$ to get it done. Last edited by chowftw on Sun Sep 18, 2011 6:31 am, edited 2 times in total. I feel for you both, can the vet do payment plans? Or is the price totally out of your reach. I don't know much personally about hip displasia , I've not had a pet with it. Could friends or family lend you some of the money and you pay it back? Is there a way you can call vets for estimates on the price of a hip surgery and maybe find a place thats more willing to work with your pocketbook. Ask your Vet if there are maybe Vet hosp. willing to work with you better financially . I too had to call around for second and third opinions, trying to not give up hope that someone could help Nikki with her cancer. I hope you can find some help .. I know I didn't give you much, but I hope there is a way to save your young pup. Does anyone know a good cheap place? Does anyone know if theres any over the counter meds i can get at a pharmacie that would help him until we decide what to do...? His front legs are so strong but his rear legs almost have no muscles at all. But his tail still wiggles when i get home from work or if i ask him if he wants to go outside! Please don't give up on him. Take your time and continue to keep calling places to see if there are cheaper places or places that take payment plans. I am not from Canada so I'm not familiar with what is up there. Down here in the states we can go to a university (Kstate) that offers discount prices for interns (DVM). Of course they are supervised.... But it is much, much cheaper. I also am not familiar with hip dysplasia but I would ask my vet if there is any medicine that I could give him for pain or inflammation. Please keep researching.I would not give up on your pup as he is a member of your family. 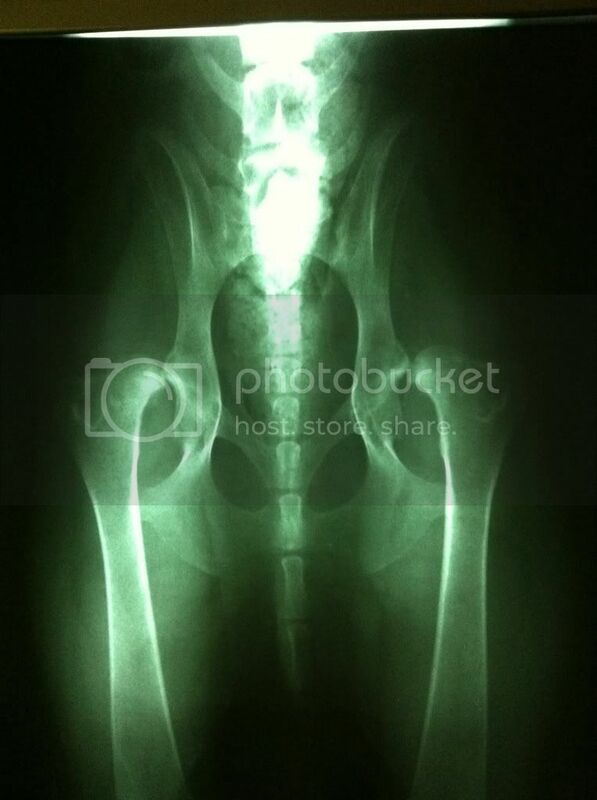 He may only need surgery on one hip. Please read the attached article. "The THR is a state of the art procedure very similar to the one used in humans. With joint replacement, dogs maintain normal movements and mechanics of the hip joint and are pain free very soon after surgery. Of important note is that over 80% of dogs will only ever need ONE hip replaced despite the presence of arthritis in both hips. 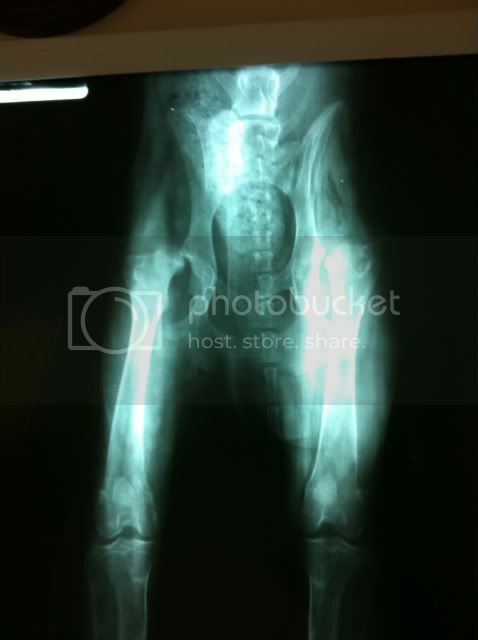 The new hip is so strong; it removes the stress on the other arthritic one and the dog functions normally." I personally would have to find any means necessary of getting my dog the surgery. My black chow is almost a year old and the thought of putting him down would just be something I could not accept. But I fully, FULLY understand the challenge of the finances. I would definitely be calling around to places to find out the cheapest prices. Is he a rescue dog by any chance? I know sometimes my vet gives me discounts on things for rescuing my boy. Or like was suggested, see if a vet school would be willing to do the surgery for a reduced price. I did a quick google search and found this, and maybe you can see if your vet knows of other financing options available. I wish you the best of luck, I really hope you don't give up on him, he sounds like he is very loved. I found a place that does surgery for 800-1000$ per side... i have an appointement at 7:10pm tonight, so ill have more news tonight. Ill let u guys know! 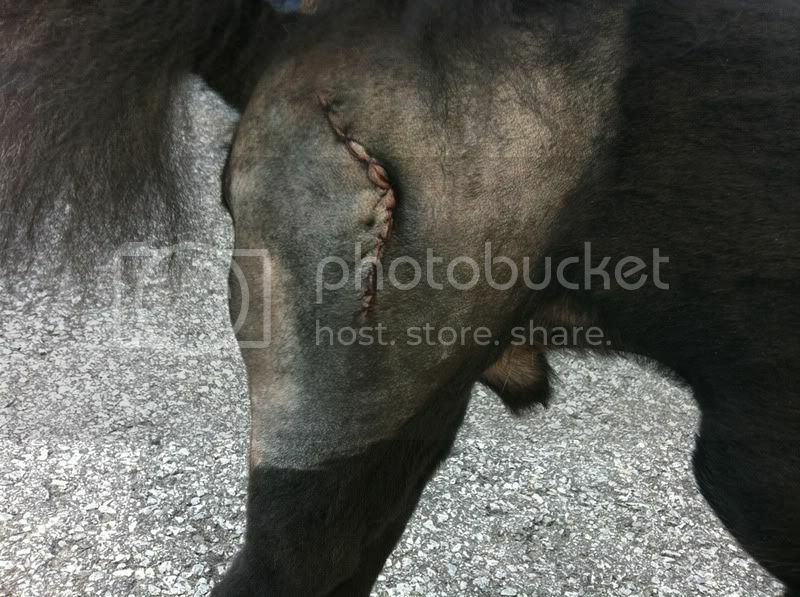 So we will get him operated in the following weeks... ill keep you guys posted! im so happy that my baby will be ok! Update: My baby is going for surgery on his right leg this friday! Ill bring him to the vets in Hudson, Quebec at 9am and will go pick him up at 9pm! Then physio starts! 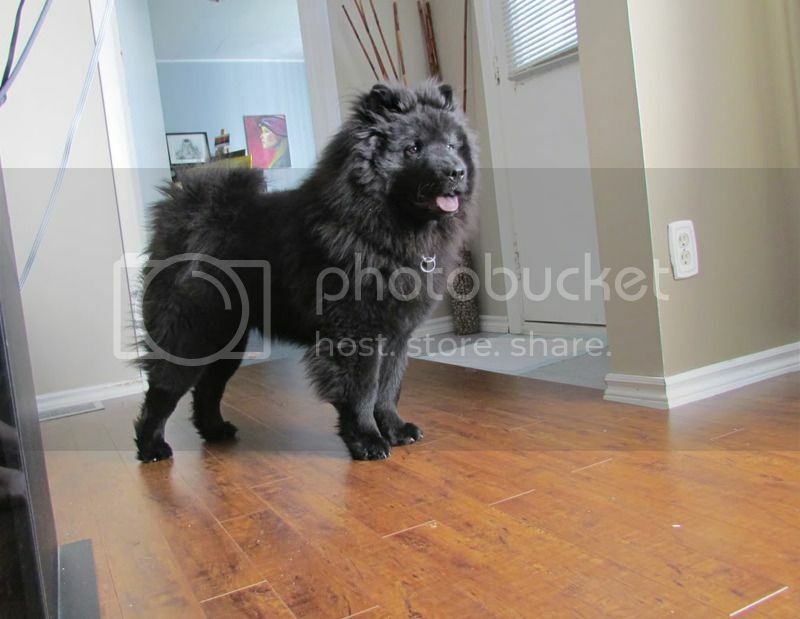 ill most likely install our 8' pool in the basement for winter to help him get all his mucles back so he can walk like a normal chow again! So happy things are progressing for you and your chow. Good to hear you are thinking of your therapy after thats important too. I forgot ,,,, (it comes with age) .. Good luck to your chow baby.. and you..
Wishing you the best of luck!! 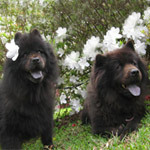 Your chow is very fortunate to have such a caring owner!!! 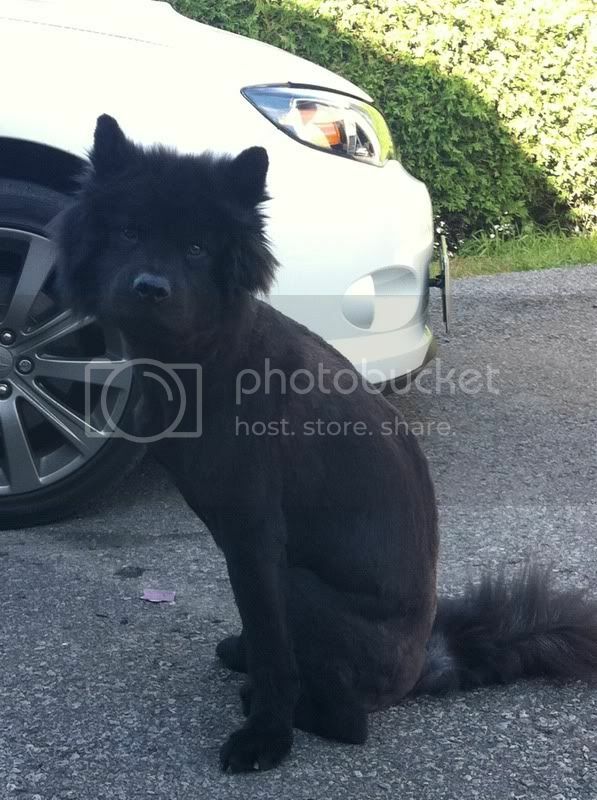 Only thing is that we asked them to shave him like a "lion cut" but they messed it up, he looks like a hyenas :S, i think i have the ugliest chowchow, lol but i tell him he beautiful im just happy hes OK and his fur will grow back! Now he went from this. So glad to hear he came through it ok! Thanks for the update! He does NOT look ugly! I'm glad to hear that everything went well! Make sure you stay strong and insist on him taking it slow! I know how tough that is with a young Chow boy! After all, all they want to do is run around all day! He looks wonderful. When they are in good health, the hair grows back fast enough. We are finally getting Ursa's meds and diet correct and her hair is beginning to grow out. 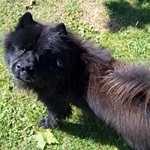 He looks great, so glad it went well, What a good looking chow . He's doing better and better, im so happy! Funny thing is that when hes laying down and then gets up he walks only on his 2 front legs for about 5 secondes then they drop back down and he walks on them... a lil sloppy but its comming! Here a got a video of him walking on 2 legs! Oh my goodness!! If I saw my dog do that I would fall over in shock. Why? he just got surgery 3 days before, hes trying to not put too much weight on his rear legs, he walk normaly after a couples seconds!